It isn’t easy to succeed in the logistics industry. There’s a lot of competition. Profit margins are often thin. And what makes it even harder is that employee and management fraud is all too common. For example, in March 2016 a Toys “R” Us logistics manager was arrested for embezzling $1,910,000 over a 35-month period. But small businesses are actually more likely to have to deal with this kind of shenanigans, according to a 2016 Association of Certified Fraud Examiners (ACFE) report. Companies with 100 employees or less lose, on average, $155,000 a year to fraud. Can you afford to lose $155,000 this year? We know that you want to believe your managers are honest, and for the most part, they probably are. But when the opportunity presents itself, anyone might be tempted to get away with some quick cash. Even managers who consider themselves moral people are capable of great feats of rationalization. People who commit fraud usually don’t think what they’re doing is wrong – often, they take on a Robin Hood mentality and convince themselves that they somehow deserve the money more than the company that made it, or they use some other twisted logic to make the case in their mind that what they’re doing is okay. In other words, it’s not only obviously sketchy people who commit fraud. Anyone might do it. The most common type of management fraud in logistics is done through billing. A manager can create an invoice for goods or services that were never rendered, allowing them to cover up anything they take for themselves. A manager might also take advantage of the company’s resources. Like, they might make an invoice for a few hours of your maintenance staff’s labor, but then when you talk to your maintenance staff about it, you find out that they used those hours to work on a manager’s private vehicle. 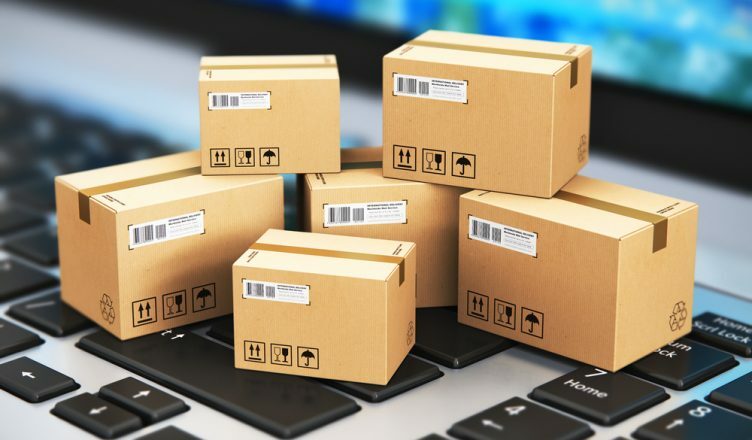 A manager can create a fake customer account, which would put them in a position to say that this fake customer requested an order and your company made the delivery. The account then becomes a tool the manager can use to funnel company funds. Payroll needs to be inspected regularly. It’s fairly easy for a manager to create a fake employee account and then start giving paychecks to themselves. A search of employees’ information may show that an employee’s bank account info is the same as one of your managers – this, of course, is a sign that the employee doesn’t exist. Your accountant should be keeping an eye on all of this, but you need to keep an eye on your accountant as well. They have the most access to your finances, and it’s not at all uncommon for bookkeepers to commit fraud. Watch out for that. The 2016 ACFE report explained that the best anti-fraud control measure is to proactively monitor your company’s data. 60% of the business owners interviewed in the report saw a significant reduction in fraud losses once the owner started actively monitoring their operations. One of the best tools for this purpose is vehicle route planning software that comes with a GPS tracking feature. 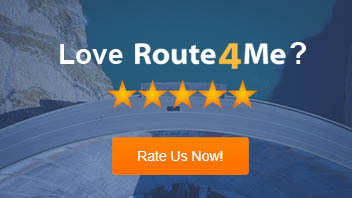 With Route4Me’s software, you can see all the locations your drivers visited last week, last month, or even last year. Our software also comes with geofencing technology that automatically records when a driver visited a location, eliminating the need for drivers to check in and out manually. And then there’s the eSignature feature. This is an electronic signature form that the customer uses to acknowledge that the delivery was made. With this feature, customers just need to sign a smartphone screen with a stylus pen or their finger. Eliminating paper in this process will save your drivers some time, and hey! It’s good for the environment, too. Also, eSignatures help you verify whether a delivery was really made. Such data makes it very easy to identify discrepancies. Another way we help you prevent fraud: with our software, you can see the exact number of miles that a vehicle drove. This will help you predict maintenance in advance and notice fake maintenance billing frauds. For example, let’s say your vehicle needs maintenance every 2,000 miles and has traveled 500 miles so far. If this vehicle covers 100 miles per day, then it would need maintenance after 15 days. Any maintenance more frequent than that is a huge red flag. You should audit often, but whether it’s true or not, convince all your employees that audits regularly take place. They must also know (or think they know) that these audits will be done both on a schedule and as needed. This will discourage them from tampering with the fleet’s fuel cards or inflating invoices. Check all vendor transactions. You can use a simple Excel spreadsheet to log all of your employees’ information. This spreadsheet should include the name, address, phone number, and taxpayer identification number of every employee. Compare all of this information with the vendor database. If you find a correlation, immediately review all interactions with that vendor. This could be an instance of a manager setting up a ghost account for inflated invoices. This same tactic works well for seeking out fake employees in your company’s payroll. Employees should be your first line of defense against fraud. Create an anonymous Dropbox for complaints so that they can report suspicious activity without fear of any possible repercussions. Also, make sure all of your employees understand what you expect regarding ethics, drug use, etc. Your anti-fraud policies should be made especially clear. Create a checks and balances system that requires more than one person to handle all accounting. The person who keeps your company’s books should not be the same person who reconciles the statements. Have an unbiased third party reconcile your bank accounts regularly. You should take away three lessons from what you’ve just read. Two, use data collection to fact-check your expenses. Three, avoid giving a single manager too much power. If you start following those tips, you’ll immediately be better protected against fraud. Are there any strategies you use to prevent management fraud that we didn’t include in this post? Let us know in the comments section below.